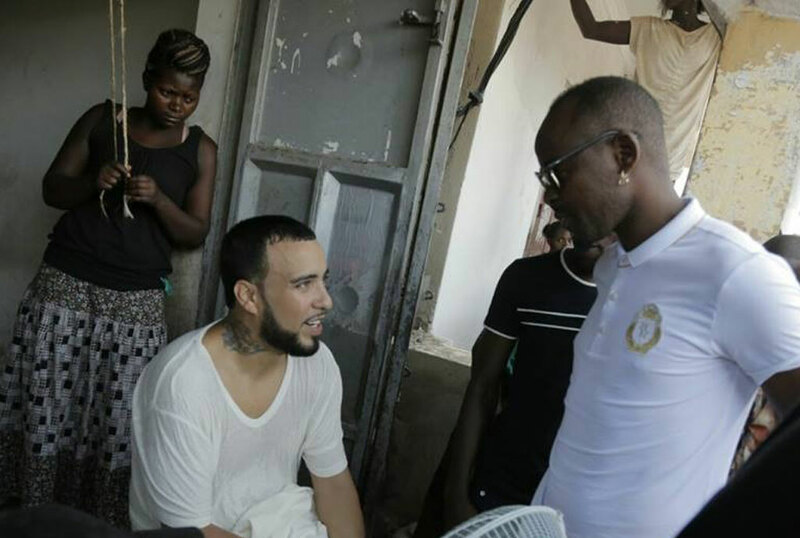 In February, French Montana flew to Uganda to feature the Ghetto Kids in a music video. Months after his visit, it looks like he is not over the country yet. Upon his return to the USA, in some of his first comments on his social media platforms, he suggested that the Ugandan Ghetto Kids were better dancers than Chris Brown! The jury is still out on that. Many will say the girl he met here is in things or he is trying to promote the video he shot while he was here but we are thinking otherwise considering we have had many international artistes who forgot they were ever here right after they departed Entebbe Airport. 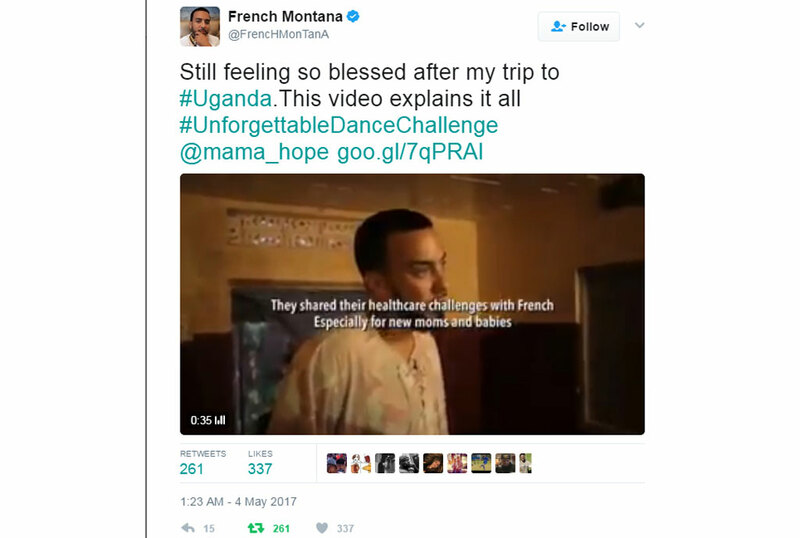 Story is that while he was at home on his computer, he watched a dance video of Uganda’s Triplets Ghetto Kids on Youtube, got inspired and decided to come shoot the “Unforgettable” music video with them in it and in Uganda. Went well. Then while here he started the #UnforgettableDanceChallenge and pledged the first $100K raised to help pay for ambulances, incubators for premature babies, cribs and a blood bank for the community of Suubi where he shot the video. Now he keeps talking about what he saw and experienced in Uganda on his Twitter handle. The next time he is here, hopefully someone will tip him off to apply for a National ID.